We moved from UK to NZ in December 1972, my UK ham callsign was G4AXI. At ZLB we lived in one of the original Telefunken cottages for about a year, the one closest to the paddock with the MF/HF TX antennas in it. I remember well the coal range in the kitchen which we kept fired up for about nine months out of twelve. I think the coal cost $20 a ton (20 one-hundredweight bags), delivered. We had four chickens and a fellow in one the other cottages had ducks. Ahhh, the good life! My first ZL callsign was ZL4CP and I set up my ham station in the sun room in the cottage. Took quite a while to get over how quiet the ham bands were compared to Europe. I put up a few antennas including a W8JK omni-directional wire beam for 20m fixed on Europe, which worked very well. RFI from the ZLB transmitters was a bit of a nuisance, the transmitters were continuously sending de ZLB ZLB ZLB 8/12/16 etc. Rig was a Heathkit HW100 and I remember that my in-line SWR meter needles were always moving in sync with the ZLB transmissions. We also had a record player with a magnetic pick-up cartridge and every time I played an LP, the ZLB morse transmission came out of the speakers until I put some ceramic by-pass caps inside the cartridge. We eventually bought a house in Invercargill, but in December 1975, we decided to move to the North Island. (My parents, sister and family plus my wife’s family all lived up there). 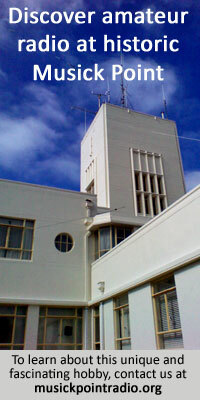 I became a Radio Inspector in Gisborne and later New Plymouth. Still busy with ham radio, my main interest now is CW and RTTY contesting. HF set-up includes a TS-2000 & linear amp, triband yagi and 40m GP. I operate in about 25-30 contests a year, it’s real good fun. I look after the club’s vhf/uhf beacons and just got interested in 6m. I’m also very much involved with Scouting, ever since we moved to New Plymouth in 1983.